Steinbeck and Capa's account of their journey through Cold War Russia is a classic piece of reportage and travel writing. Just after the Iron Curtain fell on Eastern Europe, Pulitzer Prize-winning author John Steinbeck and acclaimed war photographer Robert Capa ventured into the Soviet Union to report for the New York Herald Tribune. This rare opportunity took the famous travelers not only to Moscow and Stalingrad - now Volgograd - but through the countryside of the Ukraine and the Caucasus. Hailed by the New York Times as "superb" when it first appeared in 1948, A Russian Journal is the distillation of their journey and remains a remarkable memoir and unique historical document. What they saw and movingly recorded in words and on film was what Steinbeck called "the great other side there... the private life of the Russian people." Unlike other Western reporting about Russia at the time, A Russian Journal is free of ideological obsessions. 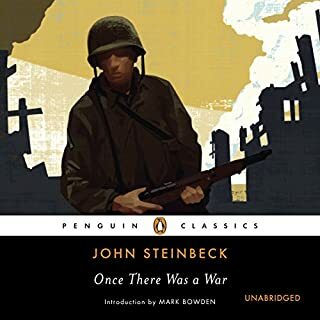 Rather, Steinbeck and Capa recorded the grim realities of factory workers, government clerks, and peasants, as they emerged from the rubble of World War II - represented here in Capa's stirring photographs alongside Steinbeck's masterful prose. Through it all, we are given intimate glimpses of two artists at the height of their powers, answering their need to document human struggle. This edition features an introduction by Steinbeck scholar Susan Shillinglaw. 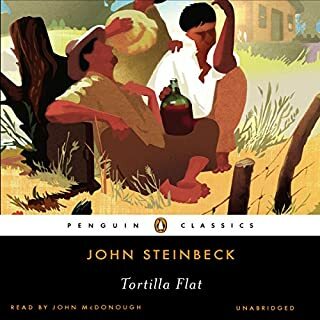 I thought I had read all of John Steinbeck’s works needless to say; I was surprised when I came across this book published in 1948. I had never heard of it. Steinbeck and Robert Capa, photographer, embarked on a six week Soviet Union tour during the early stages of the Cold War era. They visited Soviet Georgia, Moscow, Stalingrad, and Kiev. The report they created on life under Joseph Stalin’s command, is a highly valuable historical document. The people portrayed in their literary and photographic archive, are seen living in totally different conditions from those in the West. They were rebuilding a war torn country with the use of only primitive tools as the Germans destroyed all mechanized equipment as they pulled out of Russia. Steinbeck and Capa tried to avoid meeting officials and ministers, but to find time to travel across the cities to speak to people and to understand the way they were living. They tried for honest reporting without drawing conclusions. The book sort of reminds me of “Travels with Charley” because it is a non-fiction travel memoir. Steinbeck was a great observer of life, and characters. He wrote of the Russian people with great respect. Steinbeck writes very well about the humor in situations, like the nightmares of bureaucracy and the difficulties of travel. Great book and a must read for those interested in history or just a good Steinbeck story. Richard Poe narrated the book. Steinbeck non-fiction is always good! I love Steinbeck's writing, both his fiction and his non-fiction. So I am biased perhaps. 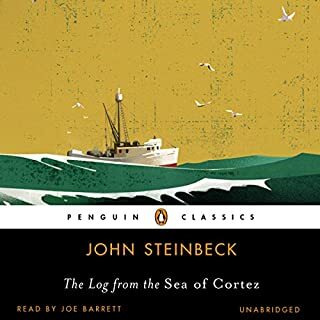 This audio is as good as any of Steinbeck's later narratives, like Travels with Charley and Sea of Cortez, both of which I loved. A Russian Journal details Steinbecks' travels in Russia with Robert Capa after World War II. They went there to see how common folk lived and what was going on at ground level in the country. Steinbeck was the words man and Capa the photographs man. 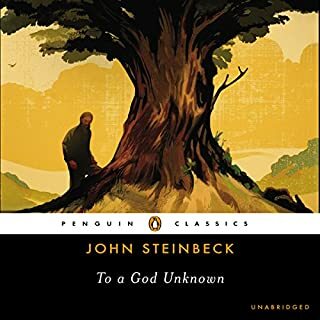 And Steinbeck reported in this book all the types of details and human interest events that he was known for in all his writing. The narrator of this book does an excellent job...good pacing, excellent diction, and occasional emphasis when appropriate...a good narrator does not stand between the listener and the book, he disappears and that is exactly what this narrator does....it is as if he is not there...he is not a distraction. Worthwhile, but . . .
For a relatively short book, I still found it bogged down at times, especially the preparation for the trip and the digressions about (digs at) his photographer companion. The story was likely groundbreaking at the time, but struck me as dated now. A strong interest in either Russia, or that era, would be necessary to appreciate the book more than I did. Narration captured the tone well. Historic and personal testimony: A one-month joint biography of Capa, the USSR, and Steinbeck. This rare and direct travel journal is at the same time a revealing documentation of parts of Soviet life in 1947, and a portrait of the not frictionless relationship between two of the 20th century's great narrators. 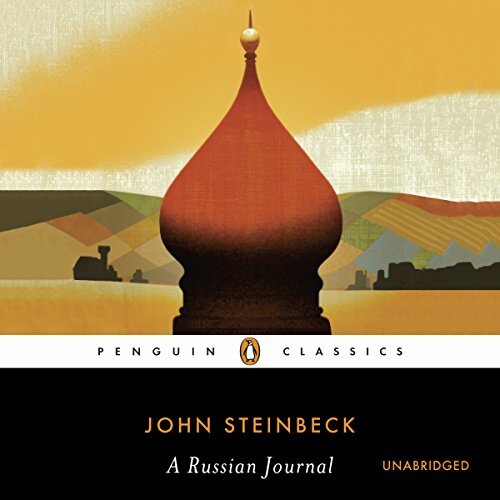 The audiobook obviously lacks Capa's pictures, but interesting details from the Soviet society come through humorously but also with petty and compassion in the many anecdotes of Steinbeck's travel journal. The tension between these two travellers, who find themselves in a closeness enforced on them by the unyielding difficulties of travel in the post-war USSR, eventually start to resemble the bickering between old lovers, and listeners with a general interest in Soviet history or a specific interest in slash, would greatly appreciate this very personal testimony from within the beginning of the Cold War. The story of the Soviet Union at this point in history is not know by enough people. The history after this account can be seen as all the more tragic, for the whole world. Steinbeck once again comes brings humor and his concern for people of all kinds to the fore. Richard Poe's performance is spot on, as he always is. 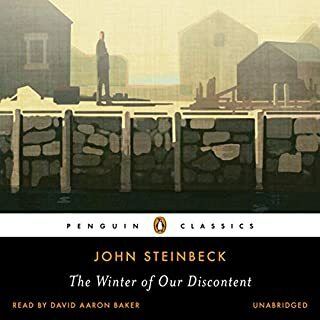 The only area that could use improvement is linking the audiobook to the photos that Steinbeck's companion took, which are fascinating. Audible could do a better job of providing this feature for books of all kinds, which are often filled with more than just words. Would you listen to A Russian Journal again? Why? Personally I wouldn't listen to the book again simply due to the fact that in many ways it's a travelling journal and listening to it again will not provide too many new insights. Aside from Kapa, my favourite character was Chmarsky simply due to his ability to cause trouble and delays. This book in my opinion should be read purely for enjoyment it is not and does not aim to cover all aspects of life in Soviet Union, many of the things can be thought to be naive impressions of a tourist, however I believe that something of a spirit of that time has been captured and that makes the book worth a read. This has been a good book to while I was doing work. I was following the narrators journey and imagining the sights and locations in my head. Its great that the narrator spoke with an transatlantic accent like how they did back then and the whole thing brought you back to a time when America and Soviet Russia had tensions and distrust. I decided to listen to this as I very much enjoyed Travels With Charley and was keen to see how his non-fiction musings on Russia would compare. I did find this slightly less engaging - although there were high points (Georgia, Ukraine, and the hotel situation). The travel to the airport aspect was obviously fairly key to the experience, but the tedium started to get to me too. As with much of Steinbeck, I was struck by how prescient much of what he says about the media, censorship, and national ideas still is. And, at one point, he recalls a conversation about how little has changed in some of these ideas since the 1600s. Given the ongoing frostiness between the USA and Russia, I found this still felt a necessary social and political message. People are people. Love John Steinbeck's books so more than halfway there to begin with. Just to say this is to make the statutory twenty word minimum. Sympathetic, cheerful and humourous account of a journalistic visit behind the Iron curtain by John Steinbeck and his photographer friend. Generally light hearted but with a serious message for the American public of the time. That the Russians are much the same as they are and shouldnt be vilified or feared. Excellent reading by Richard Poe. best audio book, I've listened too, in quite some time, combination of great book and narration. Steinbeck is sensational is what my middle school English teacher said when I asked if I could read one of his books for a book report. I think this is a forgotten classic not as well known as Travels With Charlie. It is also a unique time to see Russia - Soviet Union when the country is recovering from WW2. 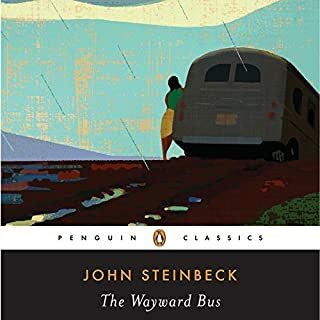 Like Steinbeck and Capa, his photographer, find a girl suffering from shell shock living in the rubble of Stalingrad, meet a farm family finally rebuilding their home after living in a hole since their home was destroyed in the war, and go to a dance where the girls have no boys to dance with. After being given a big impressive meal at a collective farm he says maybe the Soviets put on a show for him but if you visited a family farm in the US they go out of their way to look after a visitor as well.